Welcome to this special Holiday edition of the most interesting news and articles related to mobile commerce, mobile health and enterprise mobility. I have aggregated the information, included the original links and a synopsis of each article. Enjoy and Happy New Year! As the definition of productive work-time evolves from physically being on a production line or in an office, to anywhere and anytime you are contributing to the goals of your employer, there also needs to be an evolution into new ways of valuing and managing time. I recently watched, with great interest, a passenger sitting next to me on a plane answering dozens of emails in the course of a few minutes. At the rate of the responses flying off of the laptop next to me, I suspected the emails were not on topics like complex legal briefs, new government policies, innovative business plans or scientific experiments. I genuinely felt sorry for this person. It seemed a shame to me, a waste of brainpower to have some very capable communicator (typist at least) answering mass volumes of simple emails when there are great-unsolved issues begging for mental energy and committed time like great public works, innovations, inventions, health and scientific breakthroughs. These accomplishments require thinking-time, not mindless busy work. If the passenger’s massive digital stack of messages were the accumulation of days worth of communications and then efficiently dispatched during travel thus freeing up quality thinking-time, then I am a fan of the process I witnessed. However, if that digital stack represented a typical day, then something is wrong. We are wasting thinking-time, and that is a travesty. The human brain has a great capacity to love, inspire, invent, improve, design and solve. Why would we insert this amazing organ into a mindless process? We can develop code for that. Today, mobile devices and apps are NOT being used effectively. We are using them to reduce and restrict thinking time - thinking that could be dedicated to solving problems, improving humanity, developing relationships and advancing the good. An effective and efficient use of mobile devices and apps would be to use them to expand thinking-time, by reducing outside interferences and mindless busy work. Just about anything of substance and value requires thinking-time. 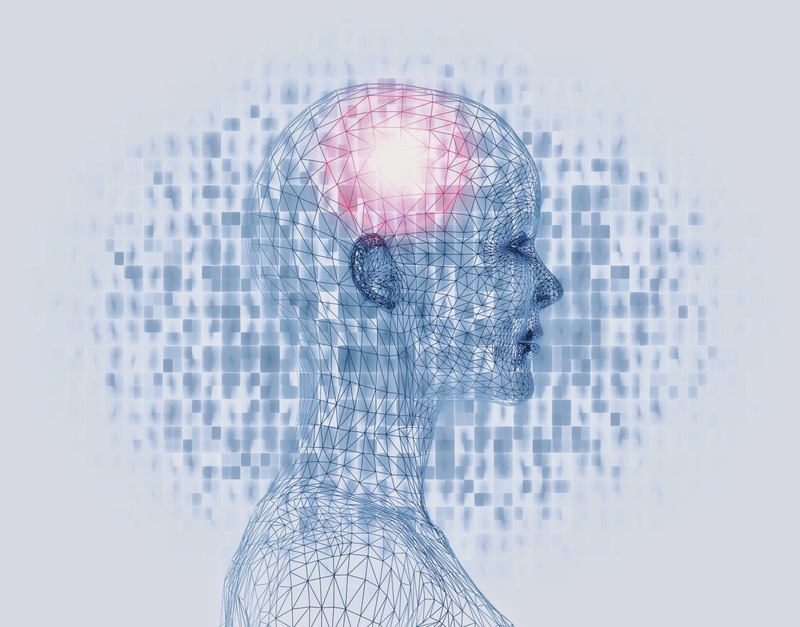 Are companies valuing thinking-time as they should, or are they reducing thinking-time by packing more mindless busy work, data collection and reporting into a day via mobile apps? I think it is time for each of us to be a bit more critical of the way technologies are being applied. Are we thinking too small, or not at all? Imaging giant Kodak is about to enter the smartphone market when it launches its new Android smartphone at the Consumer Electronics Show 2015 in Las Vegas in January. I was thrilled to catch business intelligence expert Mico Yuk at her home office in Atlanta, GA., as she travels so frequently. She is the founder of BI Dashboard Formula. In this interview we discuss the state of business intelligence and the impact of real-time and SMAC (social, mobile, analytics and cloud) on BI. Enjoy! Welcome to this special Christmas edition of the most interesting news and articles related to mobile commerce, mobile health and enterprise mobility. I have aggregated the information, included the original links and a synopsis of each article. Enjoy and Merry Christmas and Happy Holidays! 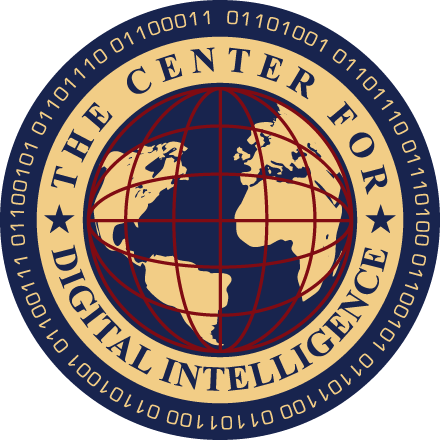 Welcome to this special Christmas edition of the most interesting news and articles related to connected devices, field mobility and mobile cyber security. I have aggregated the information, included the original links and a synopsis of each article. Enjoy and Merry Christmas and Happy Holidays! Last week I learned much and will share some of it here today. Although I have worked with Cognizant for over 2 years, I have not had many opportunities to actually meet large numbers of my colleagues. I have been traveling the world speaking at conferences, teaching and writing. That was solved last week, however, in Orlando where I was able to meet many colleagues that I had previously only communicated with over conference calls and video chats. One of those colleagues from the Center for the Future of Work at Cognizant, Rob Brown, is an expert in business process services. He shared with me the advances robotics are making in the area of business processes. Not the kind of metal, walking and talking robots we see in movies, but robots that assist humans in their jobs every day. In this interview Rob Brown explains it. Enjoy! Marketing strategies have changed so much over the past few years because of smartphones, mobile apps, big data and high speed Internet. In this interview with Cadient Groups' Chief Innovation Officer, Will Reese, we talk about the impact of these changes. Enjoy! Today we are honored with a guest post from mobile expert Yaacov Cohen, the CEO of harmon.ie. In this article Yaacov reviews the findings of a recent report titled State of Mobile Enterprise Collaboration and shares his thoughts on what the findings mean to businesses. I have interviewed him in the past and you can watch that interview here. Enjoy! 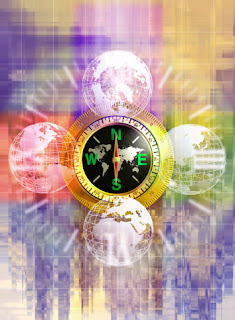 Analyst firm Strategy Analytics predicts that the mobile enterprise business application market will nearly double from $31B in 2012 to $61B by 2018. As we invest more time and energy in mobile, the question remains: are enterprises ready to take on the challenge of providing workers with true mobile collaboration capabilities? To answer this question, we commissioned the first extensive mobile collaboration study engaging over 1,400 Business and IT users. The results demonstrate why merely giving workers the ability to send emails, share files or exchange instant messages no longer cuts it, and what barriers we must overcome to enable enterprise-wide mobile collaboration and productivity. In short, our research shows that mobile workers are still struggling to access critical business information as it has become distributed across cloud services and enterprise applications. There is an immediate need for alignment between IT and Business to determine a joint approach to overcome challenges and unlock the mobile opportunities in front of us. With that in mind, I’ve compiled key report takeaways across departments that reveal some of the gains and apparent shortcomings in the quest to realize a truly mobile enterprise. The first challenge is that right now, companies are still working towards supporting personal mobile productivity rather than true team collaboration and productivity. Today’s companies mostly enable their employees to conduct the basics of personal productivity: accessing email, company calendars and contact directories via mobile devices. 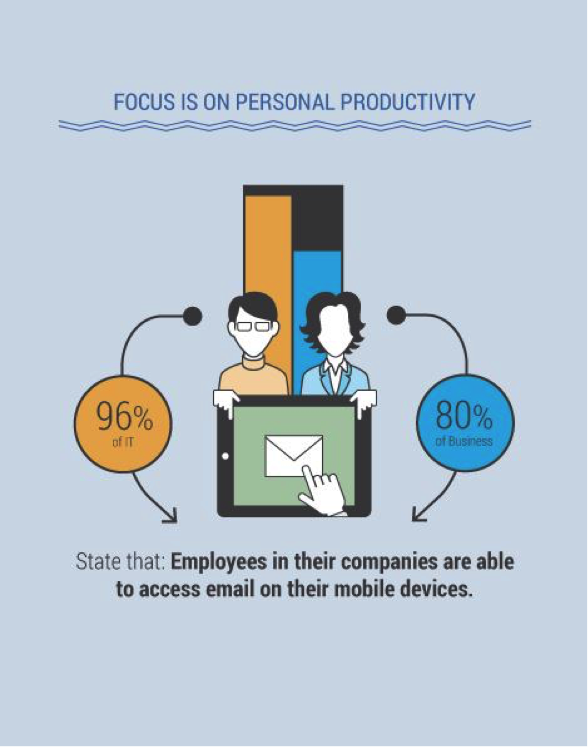 96 percent of IT and 80 percent of Business respondents state that employees in their company are able to access email from a mobile device. Business applications affording true enterprise-wide mobile collaboration saw significantly lower numbers, such as 53 percent of IT and 40 percent of Business respondents claiming to have access to Office applications on the go. While these numbers will improve, they show a major discrepancy between employees’ access to tools that boost their own productivity versus tools that aid the team as a whole. 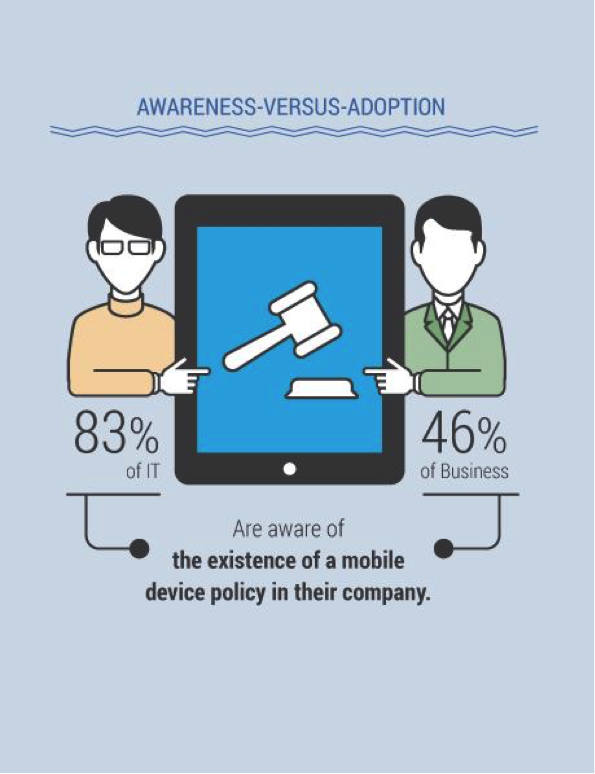 The need for alignment between IT and Business comes starkly into focus based on our findings about awareness of mobile device policies within an organization. 83 percent of IT respondents claimed they had a policy in place, while only 46 percent of Business users reported knowledge of any mobile policy. When coupled with the findings from the previous takeaway about ubiquitous personal productivity tools (mobile email, calendar and contact directory access), the conclusion is clear: if you build it, they won’t necessarily come. If this awareness problem is to be overcome, IT must take on the role of a strategic advisor who enables mobile enterprise collaboration and supports the business to onboard and train employees on critical mobile collaboration capabilities. In comparison to the high number of companies providing personal productivity tools to workers, only one-third of companies are currently giving employees access to external collaboration tools that support key business activities like financial forecasting and reporting, project management and real-time collaboration on documents. Furthermore, the results show availability of mobile collaboration tools doesn’t necessarily translate into actual awareness or usage as there is consistently about a 20+ percent gap in what collaboration tools IT claims to offer versus what Business has knowledge of. Despite this immaturity, half of IT respondents feel that 2015 will be the “Year of Mobile Enterprise Productivity” which is many more than those predicting a “Year of Enterprise Disappointment.” This positive outlook tells us that while the current state of mobile enterprise collaboration is still immature, those keyed into the space are optimistic about its year on year growth. 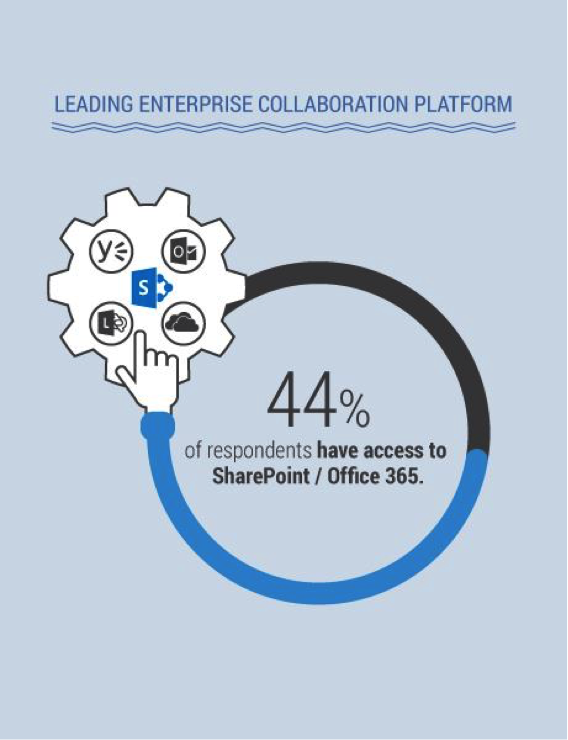 Microsoft SharePoint and Office 365 are the leading enterprise collaboration platforms on desktop and mobile devices, with 44 percent of all respondents reporting access. However, other Microsoft collaboration tools like Lync and Yammer fell much further down the rankings to #4 and #8 respectively. From this we can draw that while some of Microsoft’s products lead the pack, the company as a whole does not yet offer a universal collaboration platform. This also shows that a one-size-fits-all approach to mobile enterprise collaboration either doesn’t exist yet or is not the answer to most companies’ problems. Vendor lock-in often frightens companies away from going all in on one ecosystem. True mobile collaboration and productivity may not be possible until we see more services that aggregate cloud solutions or notifications together to give workers a useful and important contextual snapshot of what is going on in their company be it in Salesforce, SharePoint, Yammer, SAP or whatever collaboration tools are in place. In the end, to realize the true value of a mobile enterprise, collaboration needs to move substantially beyond where we are today. Enterprises must design collaboration initiatives to incorporate multi-modal, real-time collaboration in order to streamline projects that directly aid the completion of critical business processes. This collaboration experience must not only be seamless, but also must consistently surface the most relevant information at the right time, whichever service it comes from. If these major hurdles can be overcome, enterprise productivity will see significant gains because employees and teams will be able to work together efficiently to ‘get the job done,’ – which at the end of the day is what really matters. 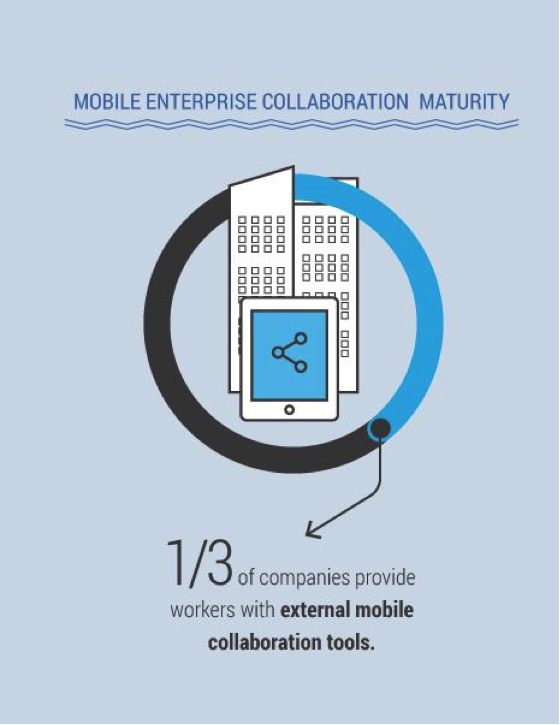 For more in-depth information, please see the full State of Mobile Enterprise Collaboration Report. I’d like to hear your thoughts on how you view the current state of collaboration in the mobile enterprise, and how you’re tackling mobile collaboration in your company. Connect with me at on Twitter at @YaacovC.